Nowadays, most people are aware that to buy glasses you don’t necessarily have to go to a traditional optician. However, many people are still hesitant about buying online, as they feel they can get better advice from a high street store. As Europe’s leading online optician, Mister Spex offers many advantages that make both the choice and purchase of new sunglasses a straightforward process. We’ll now explain to you how exactly the process functions and what things you should bear in mind. As in every area of commerce, there are some dodgy online dealers when it comes to glasses and sunglasses. So before buying anything you should have a good look at the seller and keep an eye on certain points regarding quality. First and foremost, high-quality lenses are a must. Their job, after all, is to protect your eyes from UV-radiation. Make sure that the model you choose has certified UV-protection. The filter category should also fit your requirements. A reassuring sign is when lenses from leading manufacturers are offered. If you have your doubts about an online optician, do a little research on their trustworthiness. One way is to check whether they have a Trusted Shops guarantee. Good service both before and after buying is another encouraging sign. What are the conditions regarding returns? Is there a toll-free number to call if you have questions? What are delivery times like? These and other questions can help guide your decision. If you can’t shake your doubts, look elsewhere. You don’t want to run the risk of getting poor-quality products or cheap imitations. If you are happy with your current sunglasses, you can simply enter their width and look for a model of the same size. 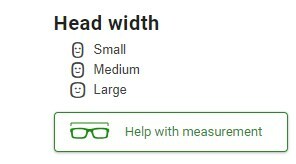 Just click on the link “specify glasses width”. Note that it’s a good thing if the sunglasses are slightly wider than your head so as to prevent stray sunlight from reaching the eyes. 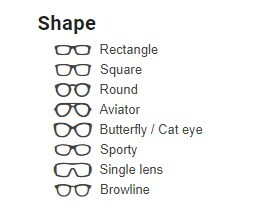 Certain styles of glasses are better suited to certain faces. 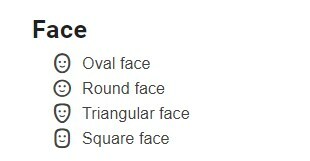 For more on this, take a look at our Guide to face shapes. Make sure you choose a frame that is large enough for your face, so that your eyes get maximum protection. Rimless glasses tend to be lighter, which particularly in the case of prescription sunglasses can be a benefit. However, you need to make sure that your eyes get sufficient protection from UV-light, and this might be an argument in favour of half- or full-rim glasses. In addition to the above filters, you can also filter according to frame colour, material, brand and price. Tip: If you want to know which models can be glazed, use the Features section on the left-hand side of the screen to search for “Prescription-ready” or “Available with varifocal lenses.” Sunglasses that take your fancy can be saved in your wish-list. If you’re struggling to choose between various models or aren’t sure if your favourite model suits you, we recommend using the online fitting tool. 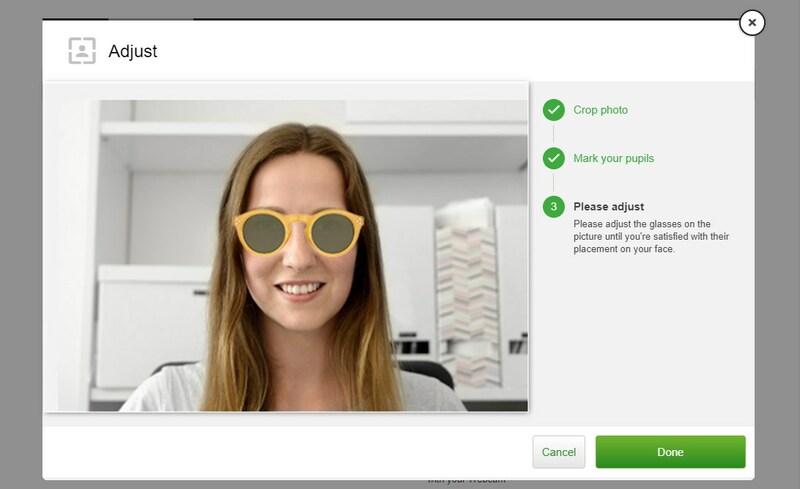 You can find this on the product page of the sunglasses in question, and it works with either a photo or your webcam. 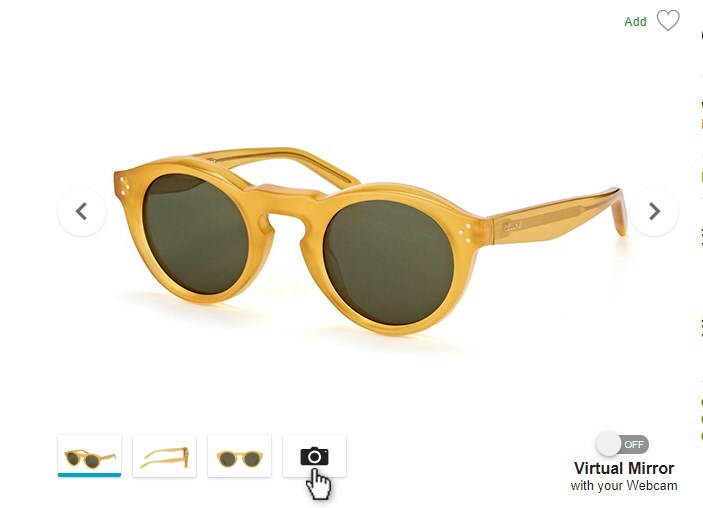 If you’d like to try on the sunglasses using a photo, click on the product page. In the row of products select the last picture then click on “New Photo”. 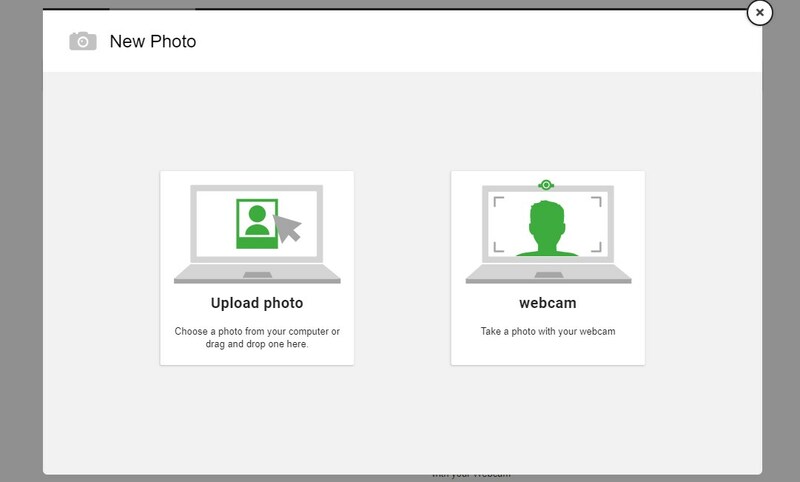 Now either upload a photo from your computer or use your webcam to take a shot of yourself. The sunglasses will then appear on your face. Use your mouse to adjust the positioning and then decide whether you like what you see. At Mister Spex you can also use your webcam to see how the sunglasses look. Activate this function on the product page, allow access to your webcam and get an instant 3D impression directly on your screen. When you’ve decided on a frame, just put it in the basket. If you normally wear glasses, it’s also possible to get the model you want to correspond to your prescription. To do this, just enter the corrective values that have been given to you by your optician. And don’t forget to choose the desired tint, lens type and finishes. In our Guide to lenses we explain what possibilities are available. Tip: When you’ve entered your corrective values we’ll automatically recommend the type of lens we consider most suitable. Step 4: Your sunglasses have a new home! After you’ve placed your order, your sunglasses will be either sent to you straight away or glazed by one of our highly qualified opticians in the Mister Spex workshop. If your glasses require any modifications, we’re happen to undertake them for you. And if for any reason you aren’t satisfied, you have a 30-day money back guarantee. If you have any questions about ordering, about sunglasses in general or prescriptions, just turn to our customer service team. Our qualified opticians will answer any queries you have. Write to us at service@misterspex.co.uk or call free of charge on 0044 (0)800 472 5457.